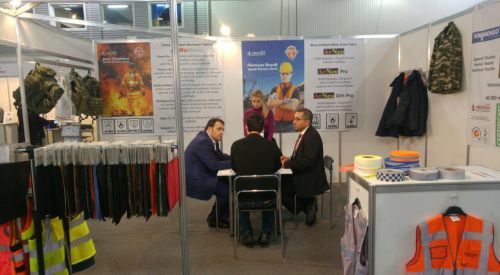 10 - 13 December 2019, Biot 2019 Moscow Russia, Safety and Labour Protection Exhibition, Hall 75. Ariteks Protection department will present Pbo(polyoxazole) fabrics. 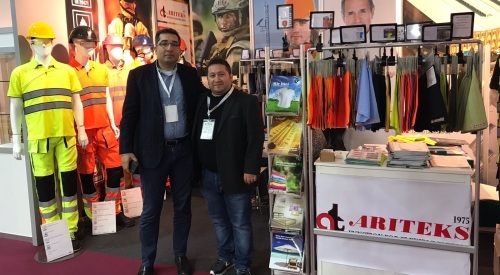 5 - 8 November 2019, A+A 2019 Dusseldorf, Germany, Trade Fair For Safety at Work. Ariteks Protection department will present laminated fabrics. ArDoku Örme, knit softshell fabrics. ArDoku Kot, denim softshell fabrics. 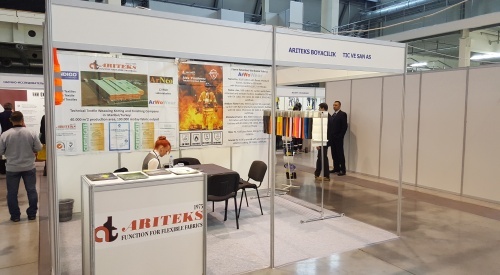 8 - 11 October 2019, Arms and Security 2019 Kiev, Ukraine, Military Exibition, Hall 1-C. Ariteks Protection department will present military fabrics. 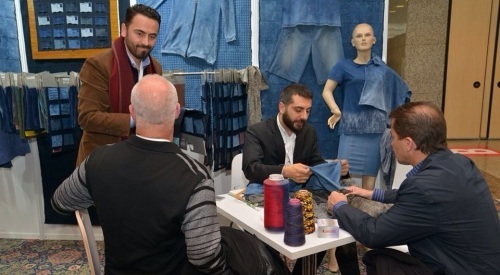 14 - 17 May 2019, Techtextil 2019 Frankfurt am Main, Germany, Trade Fair For Technical Textiles and Nonwovens, Hall 4.1 J13. Ariteks Environment department will present photocatalytic fabrics. 11 - 14 December 2018, Biot 2018 Moscow Russia, Safety and Labour Protection Exhibition, Hall 75, Stand B24. Ariteks Protection department presented Pbo(polyoxazole) fabrics. 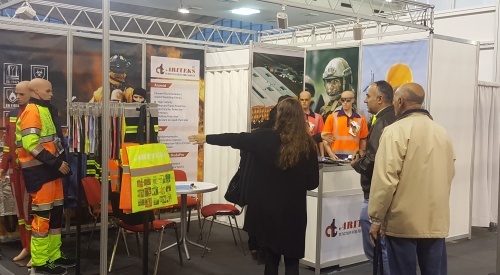 2 - 5 October 2018, 112 Expo 2018 Belgrade Serbia, Rescue and Safety Exhibition, Hall 1. 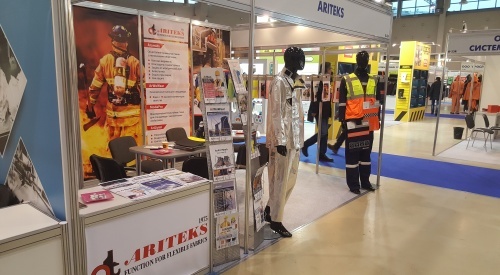 Ariteks Protection department presented ArGiyim products. 11 - 13 September 2018, EuroSafety Tampere Finland, Safety Industry and Risk Management Exibiton, Hall A, Stand A723. Ariteks Protection department presented Pbo(polyoxazole) fabrics. 11 - 15 December 2017, Biot 2017 Moscow Russia, Safety and Labour Protection Exhibition, Hall 75, Stand B24. 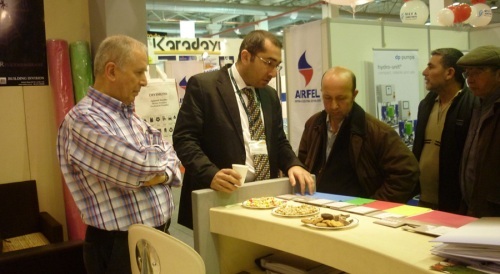 Ariteks Protection department presented ArGiyim products. 13 - 16 December 2016, Biot 2016 Moscow Russia, Safety and Labour Protection Exhibition, Hall 75, Stand A-30R. Ariteks Protection department presented Aramid products. 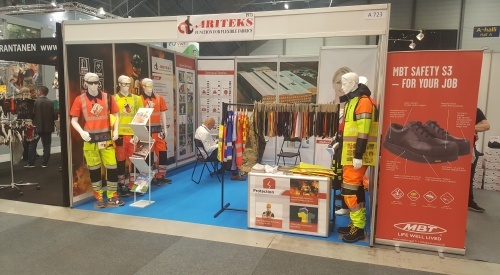 Ariteks Protection department presented Arwowear Soft Series products. 18 October - 21 October 2016, Bezpeka Kiev Security Fair, Stand c721. 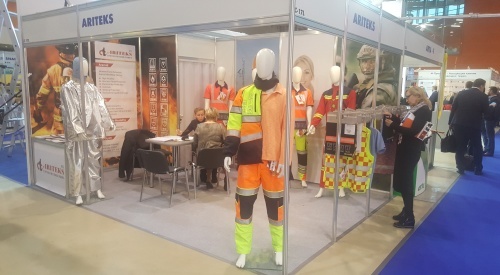 Ariteks Protection department presented ArWoWear workwear fabric products. 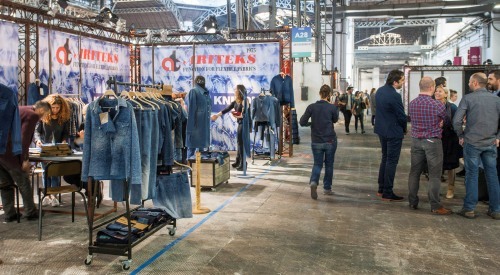 18 November - 19 November 2015, Denim Premiere Vision, Barcelona, A28. 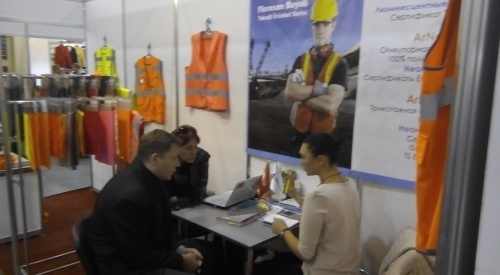 19 October - 22 October 2015, Bezpeka Kiev Security Fair, Stand A722. 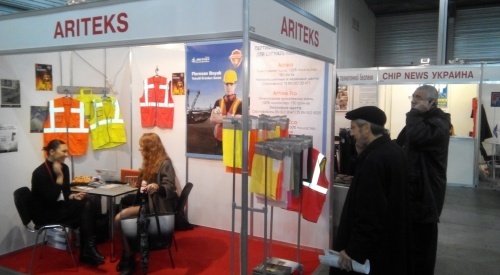 Ariteks Protection department presented ArNeo security vest fabric products. 7 October - 10 October 2015, Alltex Kiev Fair, Stand 3C-A9. 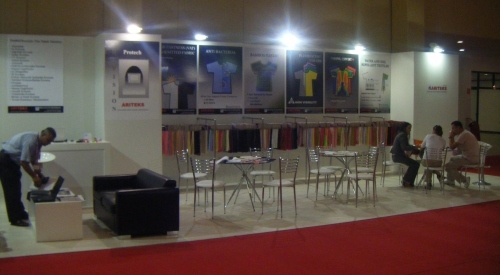 Ariteks Protection department presented ArNeo fabric products. 7 April - 9 April 2015, Texworld Istanbul Fair, Stand C09 15. 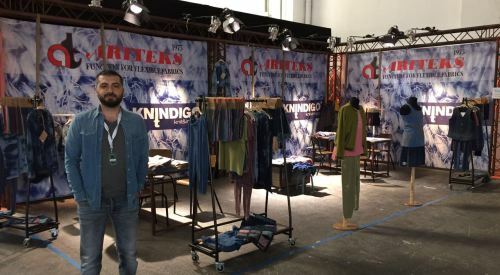 Ariteks Apparel and Home Textiles department presented Indigo dyed knit fabric products. 24 April - 28 April 2013, 36th Turkey Build Fair Istanbul 2013 , HALL 12a Stand 12714. Ariteks HOME department presented functional ArDiLight products. 06-09 December 2012, Sign Istanbul 14th International Outdoor Advertising Trade Fair, HALL 8 E-6. Ariteks BUILDING department presented ArDigiPrint products. ArDigiPrint Type 4 for stretchable spider systems. 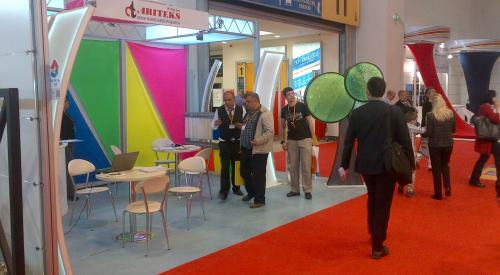 2 May - 6 May 2012, 35th Turkey Build Fair Istanbul , HALL 12a Stand 12714. 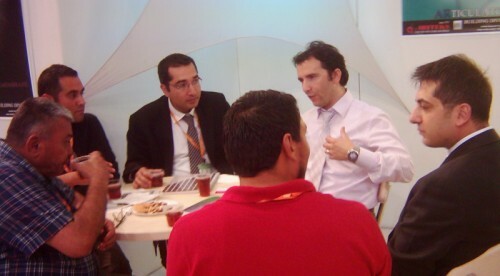 01-04 December 2011, Sign Istanbul 13th International Outdoor Advertising Trade Fair, HALL 8 E-6. 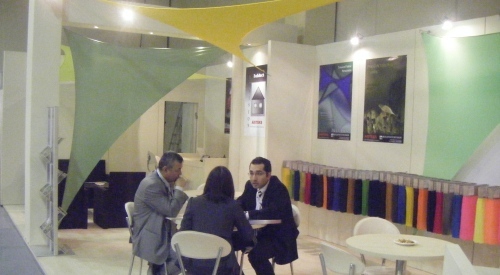 27 April - 1 May 2011, 34th Turkey Build Fair Istanbul , HALL 12a Stand 12714. 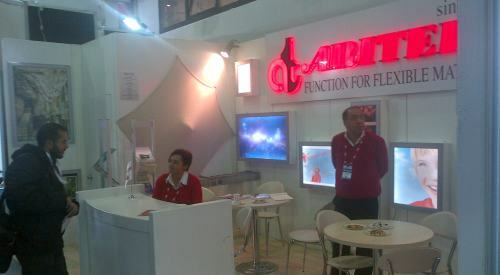 Ariteks BUILDING department presented functional Articulator ve ArLuminescent products. 23-27 March 2011, Bursa 23. Building and Life Fair and Conference, HALL 3 B10. Ariteks BUILDING department presented functional ArGlassMembrane products. 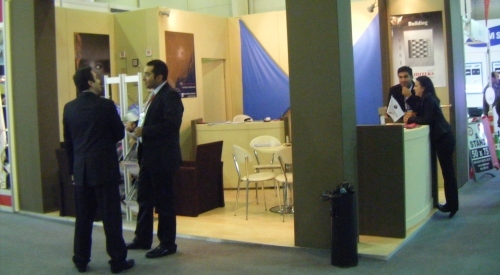 25-28 November 2010, Sign Istanbul 12th International Outdoor Advertising Trade Fair, HALL 8 E-6. Ariteks BUILDING department presented ArFlexMembrane and ArLuminescent products. 24-28 March 2010, Bursa 22. Building and Life Fair and Conference, HALL 3 B54. Ariteks BUILDING department presented functional Articulator products. 23-26 July 2009, Bursa 4th Baby and Kidswear and Necessities Fair, HALL 3 A12. Ariteks PROTECTION department presented new protective fabric. High dye fastness knit fabrics.